Malaysia-based MISC Berhad (MISC) has announced its exit from the container shipping business due to difficult operating conditions. The company said that the container shipping business has suffered a loss of MYR2.51bn ($789m) over the past three years which had impacted its overall financial performance. The process will include divestment of liner-related assets. The liner business is expected to cease operations by 30 June 2012. The exit will result in one-off costs of about MYR1.27bn ($400m) a charge it would take in this financial year and the cash cost is expected to be $30m (MYR95.4m). The company said due to radical change in the operating dynamics of the liner industry driven by soaring operating cost and rapid changes in global trade patterns is challenging the validity of today’s operating models. MISC president and chief executive officer Datuk Nasarudin Md Idris said the company’s focus in recent years had been on providing maritime and transportation solutions for the energy sector, and thus, it is only natural that the bulk of resources are dedicated towards growing its energy based business segments. "In view of the expected larger demand of investment in the liner industry, the cost for us to remain relevant in the liner business is untenable," he said. MISC planned restructuring of its liner business in January 2010, when it stopped Asia-Europe trades and decided to focus on the intra-Asia market. 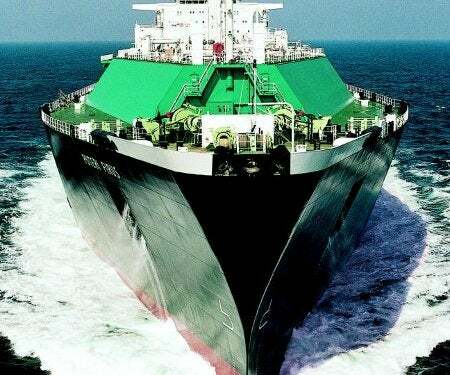 The decision was taken on the back of the faster and greater economic growth prospects of the Asian region and to enable the company to build scale in the liner business and to review its sub-optimal asset portfolio to support the new business model. The company said that the rapid pace at which the industry is changing, led by the push for new investments into even larger vessels in order to maximise economies of scale and to realise greater cost efficiency. In a separate announcement, the company has reported a 62% decline in net profit for the second quarter ended 30 September 2011 to MYR140.9m ($44m). Lower freight rates in the petroleum business, lower liftings in the liner business and high bunker costs contributed to the weak results. The company’s sales dropped to MYR2.6bn in the three months from MYR3.1bn compared with the prior year period. Revenue also fell 15.1% MYR2.6bn compared with the previous corresponding quarter of MYR3.08bn.